Stockton is home to one of the tallest buildings in San Joaquin County, the new Stockton Courthouse. The courthouse was constructed within the historic Hunter Square adjacent to the existing 50-year old courthouse in downtown Stockton along East Weber Avenue. 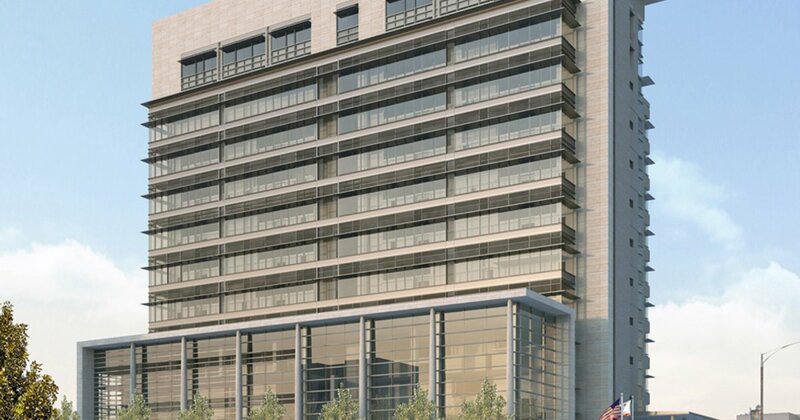 The project includes construction of a new 14-story courthouse building with a footprint covering approximately 80 percent of the 55,000-square-foot property. The building has a partial basement with a depth of approximately 10 feet below grade, underground utilities, paved entry and exit drives, below-grade retaining walls, and exterior concrete flatwork and landscaping areas. ENGEO prepared the geotechnical report and observed the foundation construction for the State of California courthouse in Downtown Stockton. 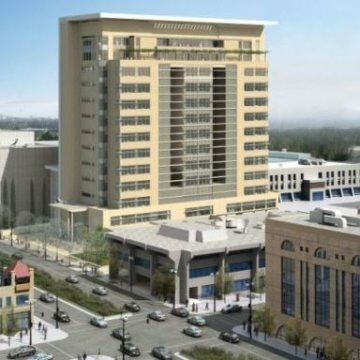 This 14-story building is currently the tallest in Stockton. The steel-framed building has a 2-level basement with 12 stories above grade. 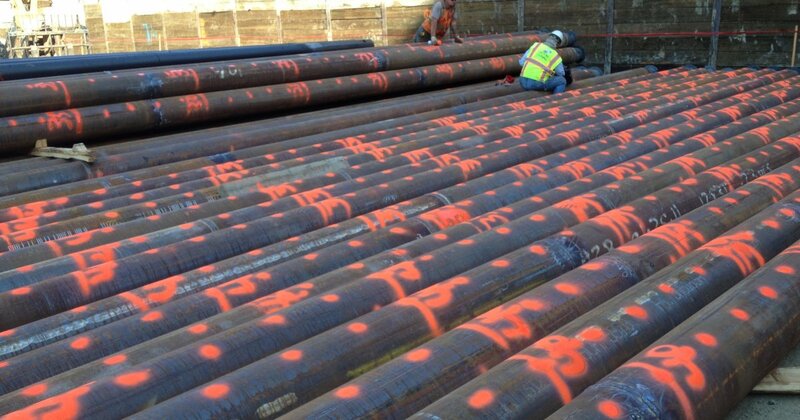 Working closely with the structural engineer, Thornton and Tomisetti, ENGEO observed and analyzed six pile load tests for potential use of cost-saving steel drilled displacement piles and subsequently developed the final pile recommendations. 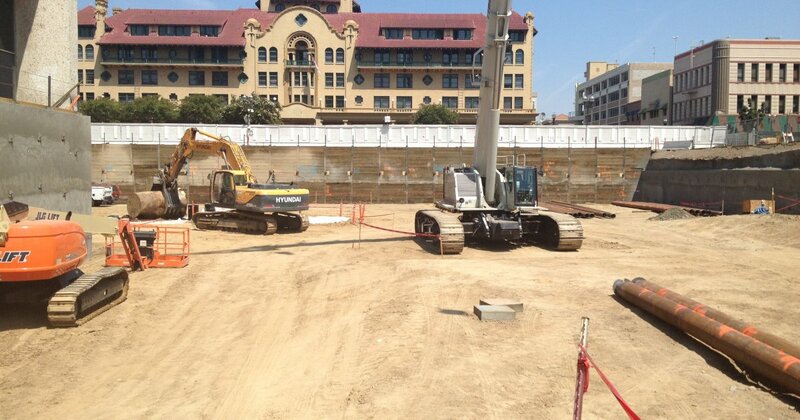 ENGEO documented and verified the pile foundation installation on behalf of the Administrative Office of the Courts. Following foundation construction, ENGEO performed geotechnical testing and observation services during the remainder of the site work. ENGEO also developed site-specific response spectra in accordance with the California Building Code and ASCE 7 and provided geotechnical recommendations for retaining walls, subdrains, seismic lateral earth pressures, rigid and flexible pavement sections, and crane lateral earth pressures on basement walls. Project challenges included safely preserving existing structures next to the 20-foot deep basement excavations and installing deep foundations to carry the high structural column loads. The design team was led by the architectural firm NBBJ with structural engineering provided by Thornton Tomasetti. Soon after the project was awarded, a foundation substitution was proposed. Noise and excessive construction vibration were undesirable for the dense urban setting of this project. 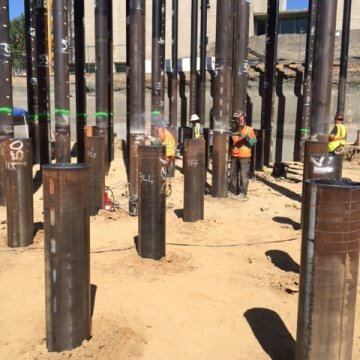 ENGEO and Thornton Tomasetti evaluated the use of a proprietary Torque-Down Pile® system developed by Substructure Support Inc. of Vacaville, California. The engineering evaluation included developing, observing and evaluating six pile load tests, assisting in development of supplemental foundation specifications, and interpretation of load test data for determining design pile lengths. 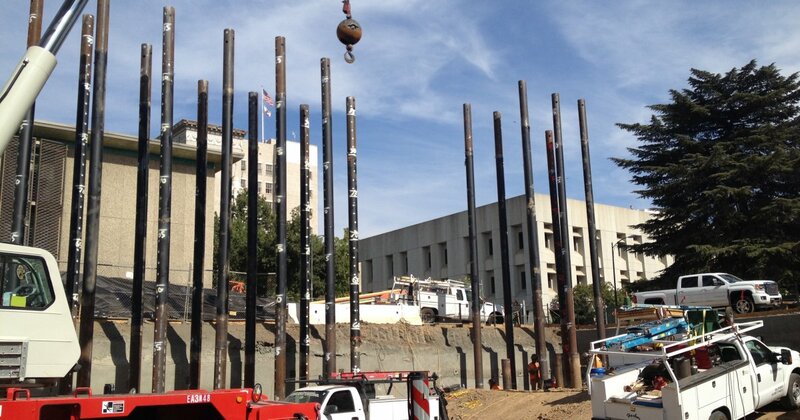 The evaluation concluded that the Torque Down Pile® system was acceptable as a substitution and also resulted in construction cost savings to the State of California. ENGEO completed observation of production pile installation that included just over 8.5kilometres / 5.5miles of steel pipe.